It may be a week later than I planned but my Adventure Time bento is finally completed!!! 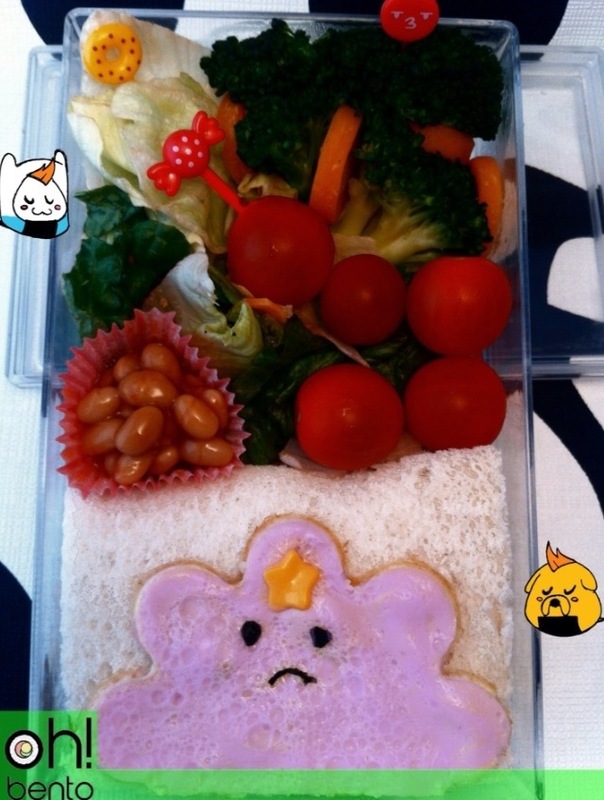 So I figured if I’m making an Adventure Time bento it had to feature my favourite character, Lumpy Space Princess! And here she is in all her globbing glory! This lunch contains an egg sandwich, omelet Lumpy Space Princess (dyed with beetroot juice and decorated with sliced cheese and nori ), mixed salad, carrot coins, broccoli and cherry tomatoes. Oh and some baked beans.